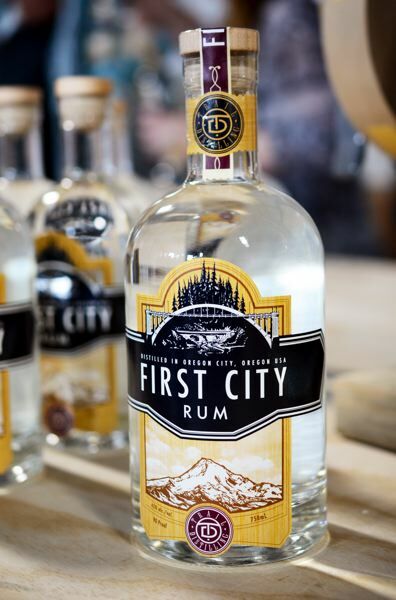 First City Rum, named after Oregon City's namesake and hand crafted from Black Pearl molasses, won the best in category award at the American Distilling Institute's 2018 Judging Competition last month. "We are so proud of all we have accomplished in 17 months since opening our doors," said Trail Distilling co-owner Sara Brennan. "To have this recognition for our two latest spirits at the largest and most respected international competition is a true honor. With over 1,000 entries, it's stiff competition — pun intended." The Oregon City distillery had won two silver medals at the 2017 judging competition. Trail Distilling also hosted two hands-on vodka workshops during ADI's conference last month in Portland. "It was great to have our colleagues from across the country as well as London, Australia and Peru here at Trail," Brennan said. Trail Distilling will soon release a blended whiskey from rye was harvested this past winter at Brennan's nearby family farm. It will be distilled early summer and put into barrels for aging. Trail Distilling's tasting room, 21553 S. Highway 213, Oregon City, is open from 2 to 7 p.m. Fridays and Saturdays, and 2 to 6 p.m. Sundays. It is also available for private and corporate events.